The FCC authentication,By adopting Doppler Effect, this module can detect the change in frequency of objects’ or persons’ movement. Controlled by MCU, it has precise timing and is dimmable. With the availability to control the brightness, it can improve eye adjustment comfortability. This module is also able to adjust sensing distance as well as setting the desired time to switch on the light. The signal is output to MCU for detection, or can be processed and compared by OP AMP Voltage Comparator. The module is different from PIR (Passive Infrared Sensor), as PIR’s sensing distance can drop dramatically according to the environmental temperature, whereas our module has high stability, long distance, wide angle, and high sensor sensitivity. It is easy to use, and the cost is lower than PIR. By optimizing this product, it can help reduce carbon footprint and your electricity bill. 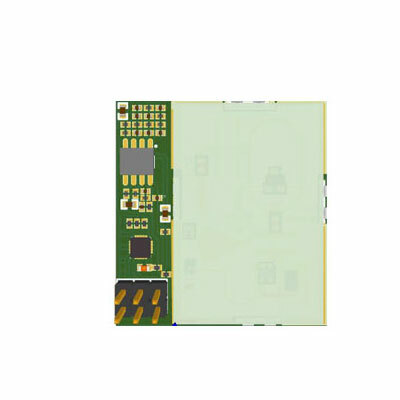 In comparison with other brands, our module has superior stability and long sensing distance. It is handy for many types of applications. Depending on your requirements, whether it’s indoor or outdoor, the module is suitable for personalization. The module is widely used in applications such as induction doors, anti-theft device, smart automatic sensors, parking lot light control, traffic light control, office power control, and medical detectors.